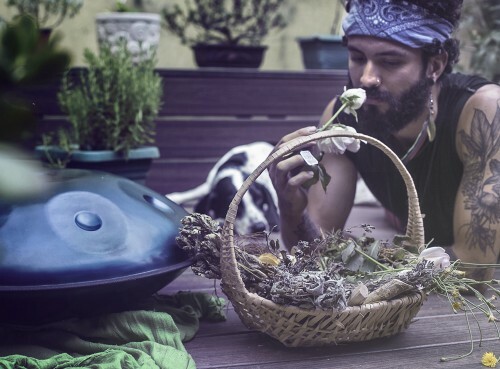 Piracanga is an ecovillage and retreat centre, where a group of friends have chosen to live in community, shaping their reality by their chosen spiritual principles of love, compassion and freedom, whilst trying to put in practice a sustainable way of life. I traveled to the ecovillage in late 2014 and we had agreed on trading a new website for room & board and some travel expenses, and as I extended my stay one project grew into many. Getting work done wasn’t always easy – swarms of bugs, missing website content and an often very unstable internet connection. Eventually we finished our first project together and launched a new website for Piracanga: http://piracanga.com. So how’s life in Piracanga? 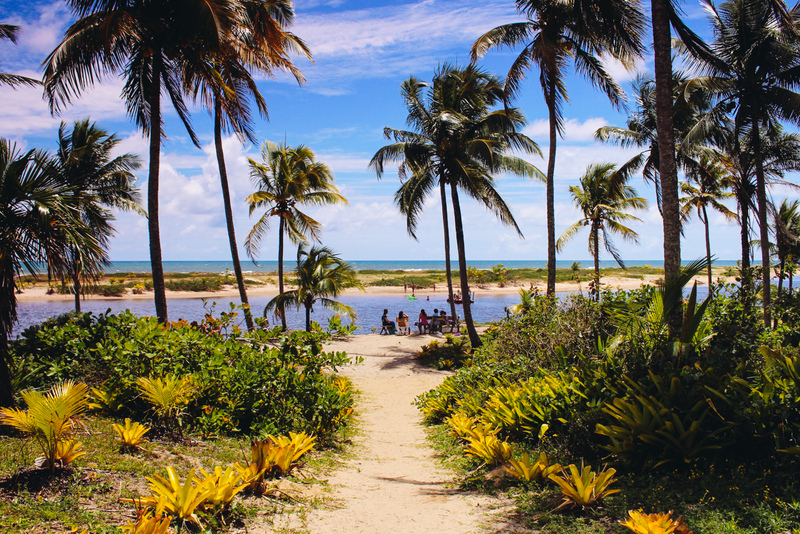 Piracanga is located in the middle of nowhere, on the coast near Itacaré in Bahia, a slice of paradise under coconut palm trees with a deserted beach in front. I’ve known the place for ages as some old friends from Portugal founded the centre many years ago. A tidal river flows by the front, separating the village from the ocean by a big strip of sand. There’re often good waves for surfing, temperatures rarely drop below 25˚ Celsius and being quite isolated and difficult to get to, it’s also protected. You’ll need like one hour and a half via a bumpy road which can get flooded and unpassable during the rainy season. There’re plenty of mosquitos around the clock, which can be very useful to train your equanimity if you’re on a spiritual path ;). Jokes aside, the bugs really were a pain, specially because they loved me and my ankles so much while I was working. 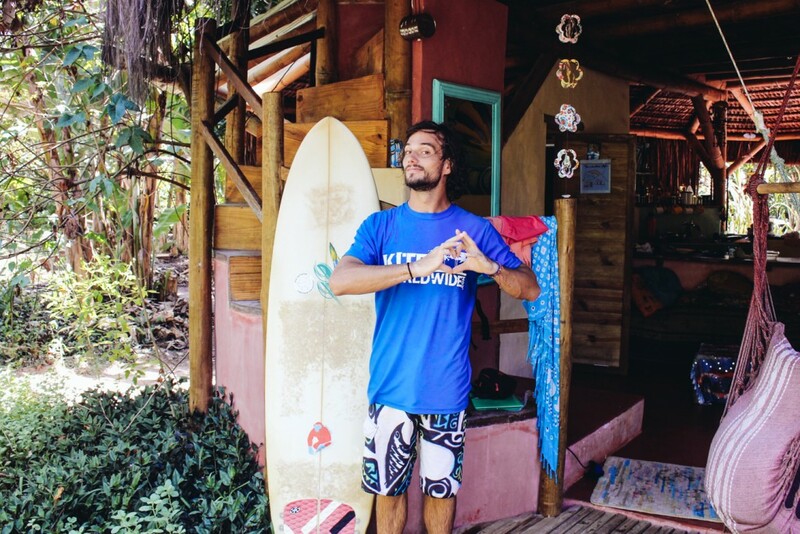 Piracanga is hard to define and a place that is constantly changing, growing and evolving. On one side there’s the ecovillage which is a growing group of likeminded people living in their various houses distributed over the 100ha property. On the other there’s the human development centre located on the front, facilitating courses, retreats and various activities the year round. Piracanga at the heart is home of the Inkiri Commune, who manage the centre and share and pursue a common vision. The Inkiri’s and their friends created a number of projects that are somewhat self-sustained: a birth-house, a school, a permaculture project, a university project, a theatre project, a little lab producing natural products, an art and crafts room, a service-school, amongst others. Most of these projects accept volunteers which help financing their operations, so they aren’t free (and some actually quite pricey for Brazilians). The various groups often organise a wide range of activities from circular dances, singing mantras, theatre workshops to screen printing, available to everyone or specific to a course happening in the centre. 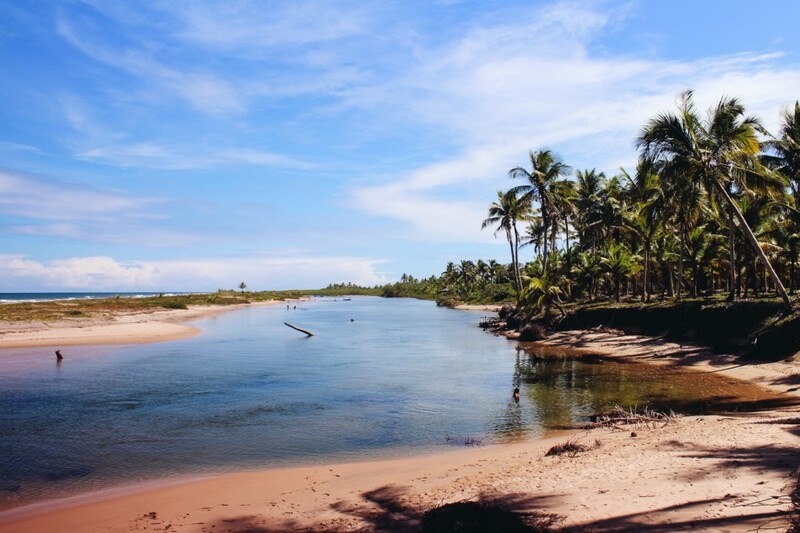 The growing interest of people wanting to volunteer, participate and contribute made it necessary for these projects to emerge from inside Piracanga and are the way to channel the flow of visitors and give the whole movement the much needed structure. An interesting aspect is an emerging internal economic system, where the projects sustain each other by buying or selling services or products, so for example the University project would buy soaps from the temple laboratory, which financed by their attendees would thus be paying for the supplies and a basic salary for everyone working at the lab. 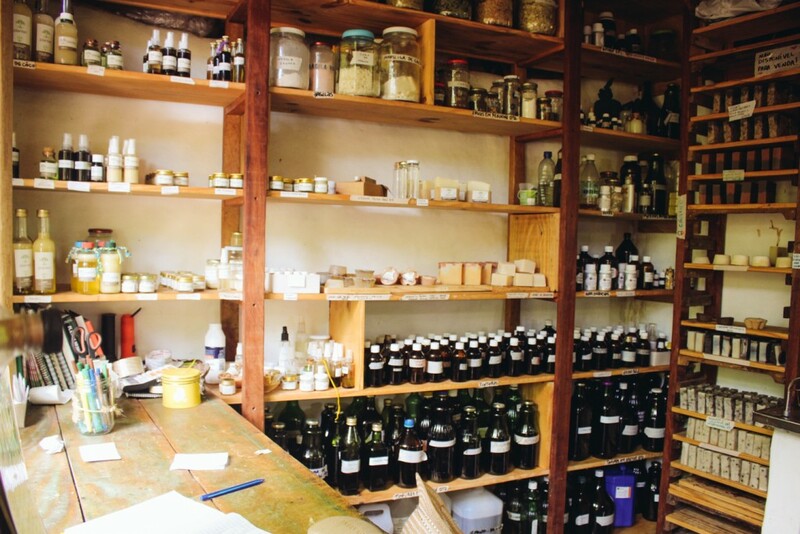 Piracanga’s alchemy lab producing natural products. Hands on the composting toilet! I lived in a big two story bamboo house together with seven friends and my partner, no fridge and with composting toilets only (which I was in charge of emptying too). We had limited energy supply due to a shared solar system by various houses, so there was no recharging my laptop after the battery was gone at night or the lights would go out. Surprisingly it didn’t take me long at all to get used to having limited energy or no fridge. You get used to cooking the right amounts and to buying fruits and vegetables in different ripeness states, also there’s mostly no leftovers with lots of people. The soil in Piracanga unfortunately is too sandy to grow sufficient fruits and vegetables so a lot of the supplies have to be brought in from the surrounding cities. There’s no agreement about diets but all houses I’ve visited only cook vegetarian, the centre for visitors only vegan meals. A small weekly fair by a local distributor takes care of most of the big demand of fresh food, though it’s not organic. Also there’s a small shop selling all sorts of cereals, flour, oil and spices that are bought in a container your bring or filled into paper bags. The awareness for what’s good food, processed or unprocessed varies from what I saw, although everyone tries produce as little garbage as possible. Water is drunk straight out of the tap, so the centre and the ecovillage implemented that only biodegradable beauty or cleaning products can be used, to protect the ground water. All organic matter lands at a large composting station and we’d wash and separate everything that’s packaging, plastic or bottles and deliver it once weekly to the local recycling station. 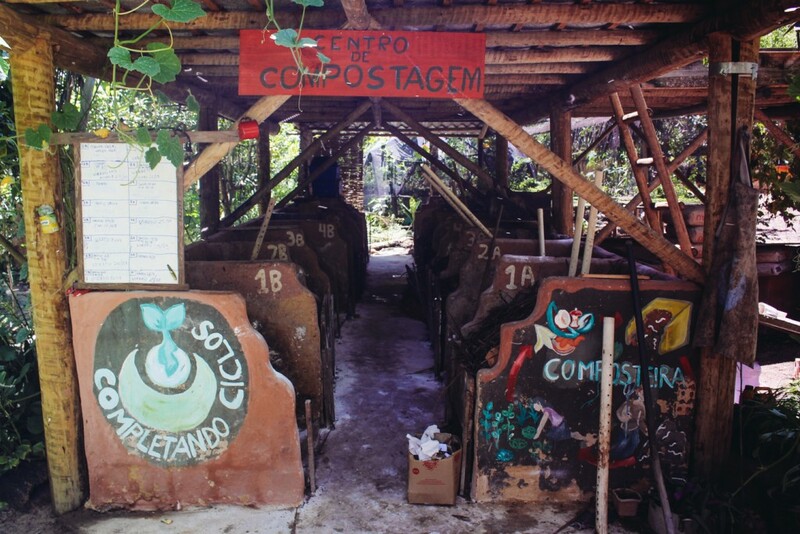 They’d then recycle most of it directly in Piracanga and fill pillows with the chopped up plastic, use bottles to deliver the washing soaps made in the laboratory or reuse items in the art workshops. 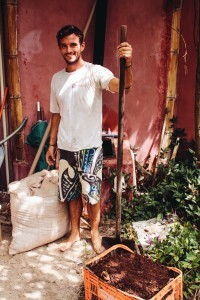 Since my time in New Zealand working for the Community Recycling Network I had learned a lot, and my time in Piracanga continued to widen my horizon in terms of what it means to live sustainably and to respect our planet with the way we consume. 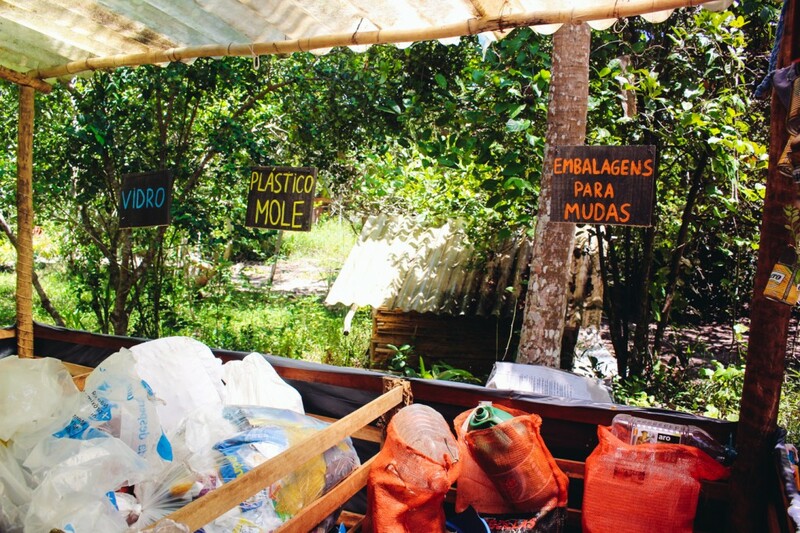 The recyling station in Piracanga sorts different materials and most of them are reused and recycled locally. The centre offers all sorts of courses and retreats focussing on healing, spirituality, sustainability or even vegan cooking. Visitors can usually book the courses including the accommodation and meals. There’s currently a big movement around Aura reading in Piracanga and every month there’s a Aura 1 course, the initiation to the technique of reading auras, which I managed to complete during my time there. Aura reading is a way “of investigating the human energy field” states Wikipedia and what I learned is a simple technique through which a reader will be able to communicate imagery and an associated meaning, related to the person he is reading. Read some more about auras in general here, although information on the internet is inaccurate and mostly misleading. The course was truly inspiring and being a very rational and grounded person (I’m a web developer after all) this course brought me close to a world that is still hard to grasp. It is actually possible to read other peoples auras, I did so myself. Those 9 days weren’t only about aura reading as they included an optional weeklong fasting period only on liquids (which I did) and dedicated one day to each the characteristics of our seven chakras or energy points, really forcing you to look at what’s going on inside. Talking about what happened during those days truly goes beyond the scope of this story and I won’t preach about aura reading, but I saw some people going through some big transformations and leaving Piracanga with an immense clarity about their inner processes. 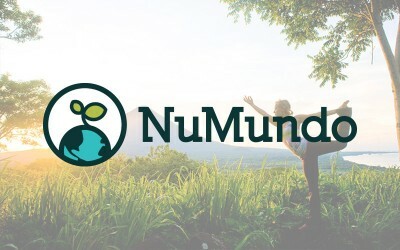 It gave me hope for change that can be catalysed through this kind of work that is being done all around the world in different ways, making us more aware of ourselves, shifting consciousness and spreading concepts of healthier and more sustainable lifestyles. If we start somewhere it should be with healing ourselves, by looking inside. The course most definitely pointed in the right direction. The river separating the centre from the beach. Looking at what is being achieved in places like Piracanga I sometimes questioned myself about what it means to be fully ecological / sustainable and autonomous from the big systems we all depend on. In this particular case there’re still a lot of dependencies – the centre very frequently uses cars to transport people and frequently operates a diesel generator to meet energy demand. Supplies and equipment have to be bought in nearby cities and a a lot of the food has to be purchased from outside. Fruits and vegetables often aren’t organic because of the lack of suppliers in the region or because they get too expensive, and the list could go on. A centre like Piracanga wouldn’t be able to exist without the world of mass consumption around it and also depends on the income from visitors looking for transformative experiences and paying for courses. The answer I found is that similar to our own habits, the only way is to continuously improve ourselves, without excessive idealism. There’s no such thing as perfection. If there’s a road to a better world, I’d rather be walking on it and keep improving myself than not going forward at all, right? May the Piracanga’s multiply… may the love spread! This article was originally published on my blog Good Things Everywhere, where I document my travels bartering my skills around the world. Thanks for reading!